Our collection of patterned wallpaper murals offers an easy way to jazz up a blank wall and the surrounding space. Murals with patterns have been popular for ages and we decided to give this time-tested trend a new spin with an updated collection of designs. Step in and browse through collections of murals with themed patterns ranging from nature and novelty to traditional and modern motifs and much more. Style preferences and tastes change with the times and our patterned murals are the perfect match, adding depth and beauty to your space. Wallpaper murals with repeating patterns may be used to create a feature wall—a relatively inexpensive and easier option when compared to adding decorative tiles or panels. For example, putting in a brick wall above the fireplace mantel is an architectural change that may not be a viable option for everyone, but a wallpaper mural with a brick pattern is a workable fix for most. Our patterned murals may also be used as backdrops to living spaces to add interest and personality. People also use wall murals with repeating patterns to showcase their hobbies or passion. For instance, we carry wallpaper murals featuring bicycle wheels, sports motifs, geometric shapes, beverage glasses and global designs, among many others. These make the perfect choice for cycling or sports buffs or someone who loves geometric designs, wine or an eclectic, world-inspired aesthetic. Don’t forget about your kids’ rooms. We carry a collection of murals with children’s patterns to please the littlest of inhabitants in your home. From whimsical animal illustrations to alphabets, abstract designs to sports, just about every theme may be found in our collection of murals for kids. Turn your child’s bedroom, nursery, play room or reading corner into a vibrant and welcoming space with a specially made wallpaper mural featuring his or her favorite colors and theme. Finally, remember that wallpaper murals with repeating patterns are not just meant for homes. They are the right choice for restaurants, lobbies and other commercial spaces too. Go for a bold, colorful pattern if you’re feeling adventurous or a subtle, neutral, understated mural if you prefer. 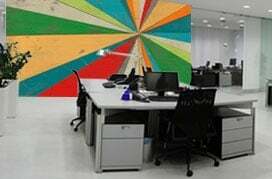 You’ll find several murals to suit your commercial space no matter what your decorating style and the nature of your business venture may be. 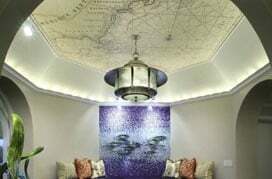 When it comes to wallpaper murals for residential or commercial spaces, we have a reputation for a wide assortment and excellence in quality and service. Do you see a pattern here?